In NYC, I meet many artists from all over the world. I have a big love for Japanese artists who come to NYC to try and achieve their dream. I'd like to introduce many passionate Japanese artists in this blog. Today I'd like to introduce a dancer. His name is Tosihiko Nakazawa. I spent a few hours with him one day to document his life in NYC as dancer. Toshihiko is a dancer for The Ride. 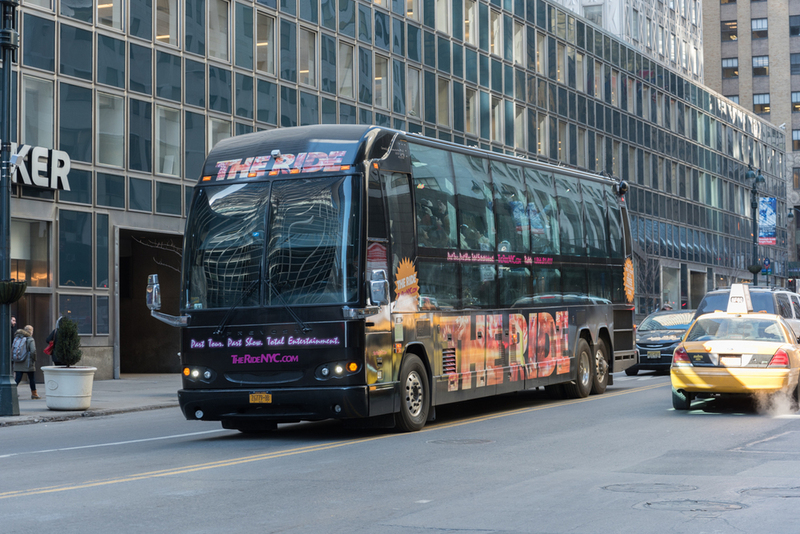 The Ride is a tour bus in NYC. 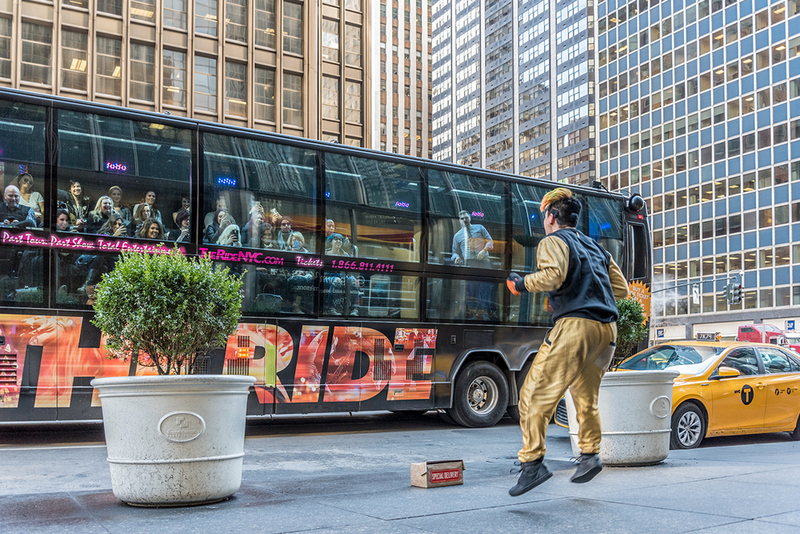 It's not just tour bus though, The Ride is a one of a kind entertainment experience that turns the street of New York Into a stage. The passengers on the bus face outside towards the sidewalks. Toshihiko performs on the street. 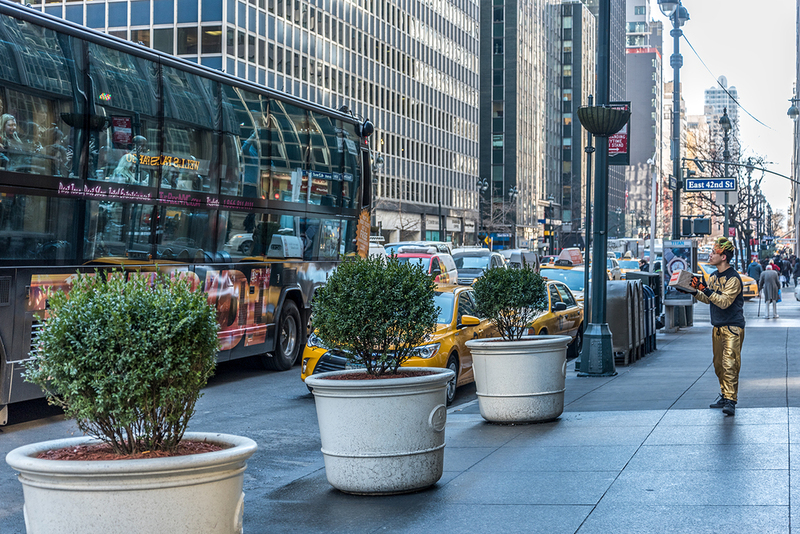 When Toshi is working, waiting for the bus to arrive is part of the job. He has many cell phones from The Ride office. The cell phones tell him the location of the bus. When the bus is near his location, Toshi goes out side to prepare to perform. He is a delivery man in this performance! He is stretching and warming up before the bus arrives at his location. The performance was about a minute and half, and was so much fun to watch him. I want to experience and see his performance from The Ride bus next!